Pre-implantation genetic diagnosis (PGD or PIGD) is the chromosomal and genetic profiling of embryos prior to implantation, PGD is considered in a similar fashion to prenatal diagnosis. When used to screen for a specific or group of genetic or chromosomal disorders, its main advantage is that it avoids selective pregnancy termination as the method makes it highly likely that the baby will be free of the disease under consideration. PGD thus is an adjunct to assisted reproductive technology and requires in vitro fertilization (IVF) to obtain oocytes or embryos for evaluation. Cells are generally obtained through blastomere or blastocyst biopsy. The latter technique has proved to be less deleterious for the embryo, therefore it is advisable to perform the biopsy around day 5 or 6 of development. 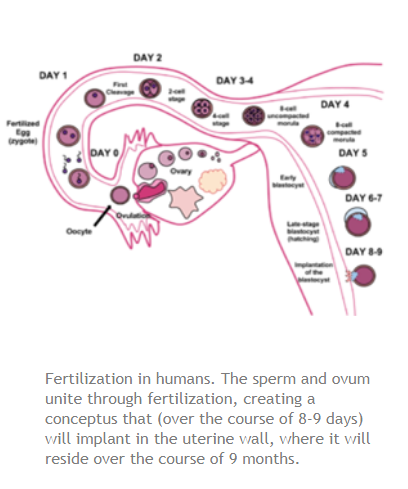 In humans, implantation is the stage of pregnancy at which the already fertilized egg adheres to the wall of the uterus. At this stage of prenatal development, the conceptus is called a blastocyst. It is by this adhesion that the fetus receives oxygen and nutrients from the mother to be able to grow. The term preimplantation genetic screening (PGS) refers to the set of techniques for testing whether embryos (obtained through IVF/ICSI) have abnormal chromosomes’ number. In other words, it tests if embryo is aneuploid or not. PGS is also called aneuploidy screening. The PGD allows studying the DNA of embryos to select those that carry certain mutations for genetic diseases. It is useful when there are previous chromosomal or genetic disorders in the family and within the context of in vitro fertilization programs. PGD can potentially be used to select embryos to be without a genetic disorder, to have increased chances of successful pregnancy. PGD is available for a large number of monogenic disorders—that is, disorders due to a single gene only(autosomal recessive, autosomal dominant or X-linked)—or of chromosomal structural aberrations (such as a balanced translocation). PGD helps these couples identify embryos carrying a genetic disease or a chromosome abnormality, thus avoiding diseased offspring. The most frequently diagnosed autosomal recessive disorders are cystic fibrosis, Beta-thalassemia, sickle cell disease and spinal muscular atrophy type 1. The most common dominant diseases are myotonic dystrophy, Huntington’s disease and Charcot–Marie–Tooth disease; and in the case of the X-linked diseases, most of the cycles are performed for fragile X syndrome, hemophilia A and Duchenne muscular dystrophy. In addition, there are infertile couples who carry an inherited condition and who opt for PGD as it can be easily combined with their IVF treatment. Preimplantation genetic profiling (PGP) has been suggested as a method to determine embryo quality in vitro fertilization, in order to select an embryo that appears to have the greatest chances for successful pregnancy. However, as the results of PGP rely on the assessment of a single cell, PGP has inherent limitations as the tested cell may not be representative of the embryo because of mosaicism.